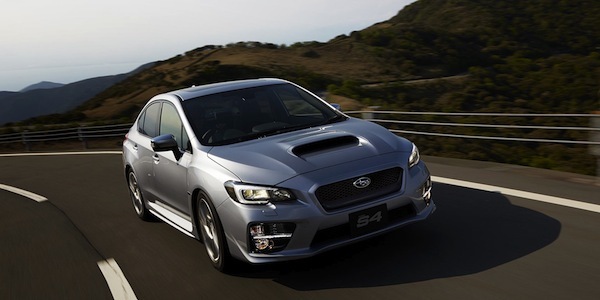 It’s nothing new for Subaru to keep getting these top safety awards from Japan New Car Assessment Program (JNCAP). It’s one of the Japanese automakers core values and the small auto brand excels at producing safe vehicles. The 2016 Subaru WRX S4, Outback, Legacy, and Levorg, when equipped with Subaru’s latest generation EyeSight driver assist system perform at the highest level of safety performance in the Japan assessment conducted by the Ministry of Land, Infrastructure, Transport (MLIT) and the National Agency for Automotive Safety & Victims’ Aid (NASVA). Why does Subaru put a priority on safety? When Nobuhiko Murakami, Corporate Senior Vice President Fuji Heavy Industries (FHI), unveiled the new European Levorg sports tourer in May, he made an interesting statement to the press. He said, “We aim to become the number-one brand for overall safety.” It’s not a new goal for the brand as they have been doing independent testing of their vehicles for decades. Safety has always been a top priority for Subaru since the 1960s when they began conducting their own tests before there was any government testing being done. FHI has been perfecting their EyeSight system and since its release in 2012, Subaru has received international acclaim from the IIHS in the U.S. where it achieved a maximum 6 point rating in Front Crash Prevention (FCP) tests. All of Subaru’s EyeSight-equipped models ever tested in the assessment so far have been awarded with the ASV+ designations. It’s a testament to the brands commitment to be the number one automaker for overall safety and EyeSight’s strong pre-crash safety performance is proof they are serious. The 2016 Subaru WRX S4, Outback, Legacy and Levorg are the latest vehicles to receive the top safety award.